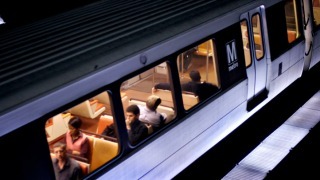 A person was struck by a Metro train at the L'Enfant Plaza station, according to the transit agency. Train traffic was delayed on the Blue, Orange and Silver lines, and the 700 and 800 block of D Street SW was closed. Surveillance video showed the person was on the tracks intentionally, according to Metro Transit Police. Stay with News4 and NBCWashington for updates.